The Hamburg steak as it was called in the 1800’s was served to the voyages from Germany to the United States. The meat patties were quickly cooked and served on two pieces of bread. To attract many of the sailors and European people to their eating stands vendors. They would offer the Hamburg style steak on the menu. In 1885 Charles Nagreen now called hamburger Charlie who made sandwiches which were easy to eat while walking at the Seymour Fair that he was only 15 years old at the time. Evidence that Oscar Bilby in 1891 was the first to serve the Hamburger on a bun in Tulsa Oklahoma. In 1995 Governor Frank Keating proclaimed that the first true hamburger on a bun was made and consumed in Tulsa Oklahoma. 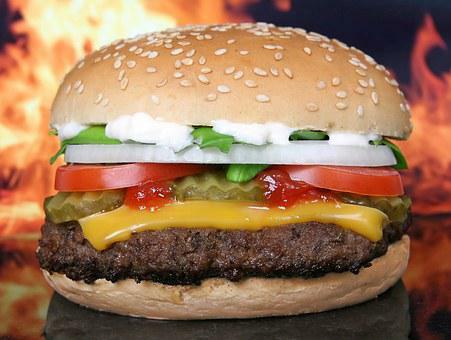 It became the lead way for the fast food hamburger success. The White Castle restaurants gleamed with cleanliness bringing the hamburger standing along with it. The combinations which come with the hamburger are endless with ideas being generated without end. Lots of you have your own favorite recipe for the beans of your choice. So the next time you pull into your favorite fast food restaurant, fire up the grill or put one on the George Forman grill you’ll know a little of the evolution on the Hamburger. That is some fantastic information about ground beef and the way our food always has a little history behind it.